Finally shed those unwanted pounds in an affordable fashion! You can expect Significant – and Fast – results! 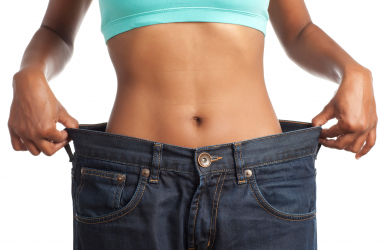 Dr. Roland Fuertez is formally trained to understand various weight loss options that are healthy for you and that are based upon your Personal Goals, Medical History, Nutritional Habits, and your Metabolism. By understanding your needs from a Medical and Personal Goal Perspective, at MD Diet of Temecula we will create a Customized, Individualized Program for you that will give you the results you expect at a price that is unbeatable! Don't Delay, Get Fit and Fabulous Today! Voucher subject to forfeiture if appointment is not cancelled at least 24 hours prior to scheduled visit or patient fails to show up at scheduled appointment. Must be medically eligible. Medical evaluation required. Medications are prescribed and dispensed with medical clearance and at the discretion of the medical provider. Patients over 50 years old are required to have an EKG; may have one for a $25 additional fee or must provide their own EKG (issued within the last 6 months) for medical clearance. Voucher will be redeemed at time of booking. 24 Hour Cancellation Required, or forfeit voucher.